It’s not unusual for auto manufacturers to employ thin high tear-strength metals and alloys in today’s fuel saving designs. 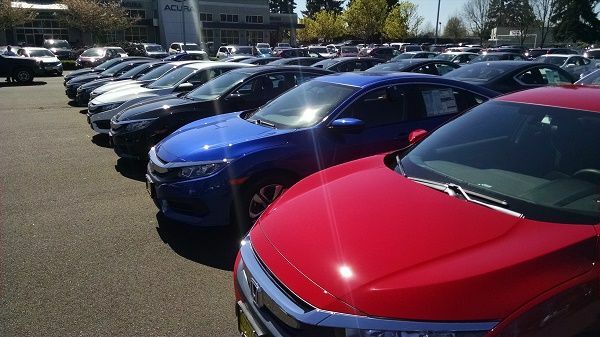 Has Honda gone too far with 2016 Civic flexible hood and door panels? Monday morning’s in box contained an owner’s forum comment thread from CivicX.Com addressing a handful of concerns as to the “thinness” of Honda Civic sheet metal, specifically the “flexable” hood and trunk lids. 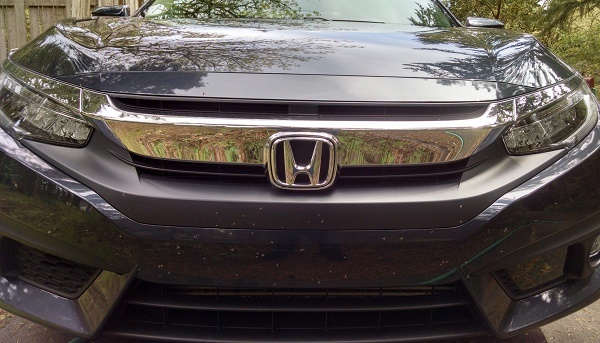 “Skullan” from eastern Ontario stated while washing his 2016 Civic for the first time, “some spots on the hood would buckle somewhat” while hand washing. Skullan is concern that the hood is too thin. It ain't no thing Skullan! Back in October Torque News reported on the larger yet lighter 2016 Honda Civic. The touring model does employ the use of an aluminum hood and high tensile strength steel in strategic areas. While this may feel a bit strange when washing, we’re confident that your hood, trunk, door panels, etc, will return to their stamped shape after deflection -- that’s what they’re designed to do. The upsized 2016 Civic is 60 pounds lighter than the outgoing 9th generation Civic, offering greater horsepower, torque and fuel efficiency. Despite the use of lighter body panels, frame, suspension, engine and transmission components, 2016 Civic’s frame and body assembly tests out with greater rigidity, and accident impact deflection, resulting in a superior drive and ride performance while affording greater driver and passenger safety.Read our latest 2016 Civic drive review here. We know that panel flex can be a bit of a mind bender -- when your car’s body appears to deflect on the slightest touch. Believe me when I tell you that this phenomenon is not exclusive to 2016 Honda Civic. Modern metals, plastics and paints are formulated to work this way in today’s high tech, safety obsessed auto industry. Drop Torque News a line when the 2016 Honda hood fails to return to its molded shape when washing -- that’s news, we’ll pass it on to Honda. This story made my day. I just bought a new 2016 Forester and I can see the hood deflecting when I drive on the highway (yes, it is properly closed). The observation makes more sense now and I'm glad to know it is not just my vehicle that has this type of design. Welcome John. Enjoy your new Forester, I owned several Subarus over the years, all reliable and fun to drive. I have to reply here, as I owned a '94 Civic EX Coupe for 15 years, a 2004 Civic Si Coupe for 1.5 years and currently drive a 2004 Civic EX Coupe. When I bought the Si at around 151K, I noticed that the hood had about 3/8" play after closing. The mechanic confirmed that the hard thin profile tires actually BENT the radiator support UP and he was able to readjust the hood to close with little play. I was in bumper to bumper traffic on IH35 in Austin on morning commute and bumped a flat bed trailer at less than 6 mph, and the air bags did NOT deploy. This TOTALED the car, as the nose caved into and included the welded radiator support sheet metal. FWIW, I perform hospital mnt. for a living and chased ALL of the parts for my '63 Falcon, which I sold last year on Hemmings. What also clued me into the sheet metal thinness were the dented rocker panels INSIDE the cab below the doors and the sheet metal dings caused by other car doors. These would have only been paint chips on my 2004 and 1994 Civics. Honda has become TOO CHEAP, plus they are bowing to newer and more strict government car emission/economy standards. Very sad, as I understand that other car mfgrs. are doing the same thing.